NPO KAIBUNSHA presents IDN (International Dance Network Programme) again this year. 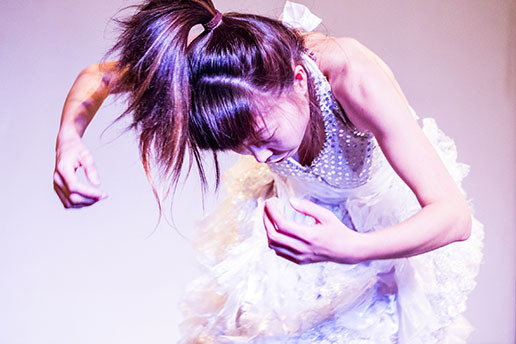 IDN is a cultural project introducing various Japanese performing arts from contemporary, butoh to street dance abroad. The IDN took place in 2014 and it will be held again for four days from September 29 this year. In cooperation with Dance New Air, the IDN will invite a theater director, a festival producer, a dancer and a choreographer in the forefront of the world dance scene to Tokyo. 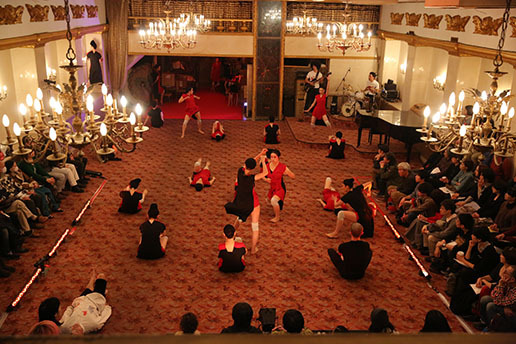 The overseas guests will attend our daily interactive sessions including a forum, a lunch meeting, a networking reception, visiting a dance studio, and watching performances. 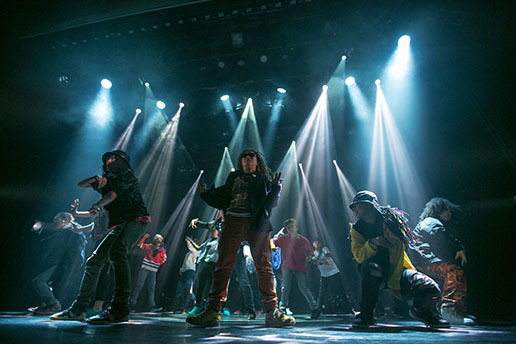 The IDN is a right platform for both Japanese dancers and overseas guests to break out world dance scene. The showcase and the forum will be opened to the public this year. 11 recommended dancers will show their presentations in two days. The program is for everyone who wants to expand the network abroad. “How can I get a chance to perform in foreign countries?”, “How should I start to collaborate with overseas artists?” etc. Three speakers will report latest international creative scene. There will be an English interpretation service. Please send an email to the following e-mail address with the title "IDN Forum reservation" and your name, profession, name of the organization and contact. Cooperation: The Japan Foundation Asia Center, EU-Japan Fest Japan Committee, The Saison Foundation , ARTS COUNCIL TOKYO, Wacoal Art Center Co., Ltd.
IDN is supported by the Agency of Cultural Affairs Government of Japan in the fiscal 2016. “ANTIBODIES” is a collective of specialists with the idea of developing new interdisciplinary models for dynamic collaboration across spectrum of disciplines and boundaries. 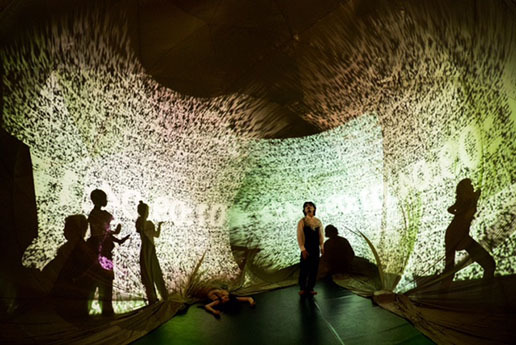 We examine how varied disciplines might relate, intersect and interact through series of experiments and researches that are designed to culminate into performance events, community workshops and other practices that contributes to larger social and educational structures. “ANTIBODIES” was established in 2015 by Kyoto-based performance artists Yoko Higashino and Toshio Kajiwara as a reincarnation of “Dance Company Baby-Q”, a genre-bending dance theatre group established in 2000 and have presented performance events and workshops worldwide. 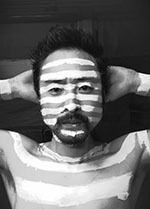 Azu Minami met Butoh in 2005. She grew up in the countryside of Ibaraki Prefecture. In her dance work, she uses Japanese traditional customs and dance which danced by common people in those customs as motives, which makes her works very original. She has performed as well as gave workshops at Ibaraki Prefecture National Cultural Festival, Water and Land Niigata Art Festival, Urushi Art Festival in Aizu and more. Performed at Chuncheon International Mime Festival in Korea in 2009. In 2010, Minami performed her solo work “Alone Gion Matsuri Festival” at “Dance ga Mitai! vol.12“ in Tokyo. From 2011 to 2012, she did workshops with disabled people and performed a duo work created from the workshops. By solo works “Scar Tissue 1” and “Scar Tissue 2” she was awarded by the New Face Award at the 44th Dance Critics Association in 2012. In 2013, she presented “Scar Tissue 1”. She graduated from Musashino Art University in 2014. In 2015, she participated in Paris Butoh Festival with her work “ame” with 3 butoh dancers. She presented her solo work “Scar Tissue 4” in 2016. We are a group that treat humans, objects and space equally. We are constantly searching for other potential body expressions besides dance. We usually tend to stay away from performing in typical venues such as studios and theaters. We favor restaurants that have closed down, bath houses, rooms in occupied apartments and restaurants that are in the middle of being re-modelled. We do sometimes also perform in theaters. In our show, we have a little action, and most of them are slow. It would look like work, rather than dance. Some people call it Butoh. We don't use sound facilities and usual music. We treat some sounds among movement as music. Usually we use light bulbs or working lights by ourselves, instead of lightning equipment in theatre. Therefore, light and sound technicians are not required. Our approach does not change even when we perform in theaters. We will make quiet but attractive scenes, so audience will feel as if they peep at odd guys' daily life. 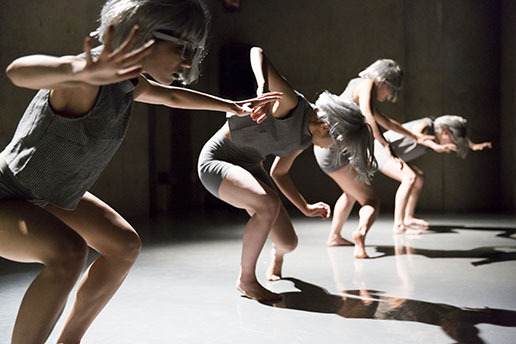 MOKK is a dance project focusing on performance in non-theatrical spaces, mainly working on director and choreographer, Sumire Muramoto’s work. At parking lot space, at the ruins, in a gallery, in the container box… They use the surrounding landscape and draw dramatic physicality and personality of dancers. Their dance film "ooze" of 2010 (Director: Sho Ohashi) was invited to international dance film festival of Budapest [EDIT2016] and Berlin [DOCK11]. Their dance works were invited in 2011 by Seoul international choreography Festival, 2016 Korea Co-Dance Festival and developing their activities domestic as well as internationally. "Dum Spiro, Spero. ", which will be performed at IDN, started as a project with 25 students at Japan Women’s College of Physical Education in 2015. In 2015, the work was re-presented at Sanriku international festival with local people in Northeast side in Japan and in 2016 at Fukuoka fringe Festival as well as at International Comic Dance Festival in Nowon with six dancers. 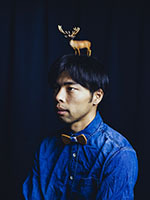 Yu Okamoto was born in Tokyo in 1988. She began her dance training in classical ballet at the age of three and participated in competitions. She also learned various dance styles such as jazz dance, tap dance and Hip Hop. She studied under Japanese choreographer Kuniko Kisanuki and graduated from J.F. Oberlin University. As a student she met Akira Kasai and performed in his works such as “Utrobne” and “Hayasasurahime” and took part in domestic as well as international tours. Since 2015 she is working on creating her own solo works. She teaches ballet at “studio RADA”. 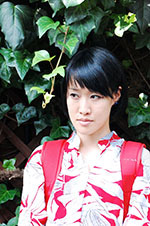 Okamoto is a leader of the dance company “TABATHA”, where she engages herself as a choreographer and director. The company has presented performances in a form of party and tries to make their works entertaining enough for the audience who has not seen contemporary dance. The signature of their works is very original costumes and decoration as well as the dancer’s pop and massive physicality. Okamoto’s activity has a great diversity from performing at exhibition at model competition, performances on street and in music videos. Born in 1963, Shiro Takatani studied environmental design at Kyoto City University of Arts. He is one of the founding member of the artist collective Dumb Type, which was established in 1984. Besides Dumb Type, Takatani began a parallel solo career in 1998. 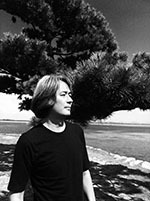 In his solo activities, he has directed visuals for several theater productions, including Ryuichi Sakamoto's opera LIFE (Tokyo, Osaka, Japan 1999). 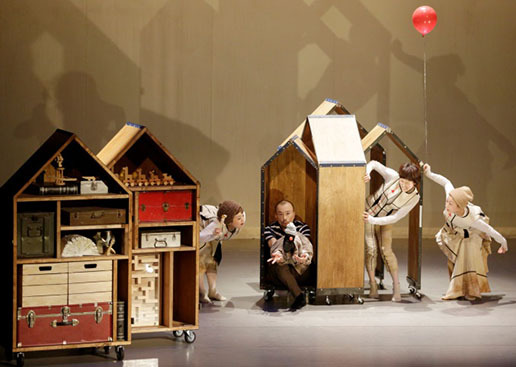 He created his own performance La Chambre Claire (premiered at Theater der Welt, Germany in 2008), CHROMA (premiered at Biwako Hall Center for the Performing Arts Shiga in 2012) and ST/LL (premiered at Le Volcan – Scène Nationale du Havre, France in 2015). 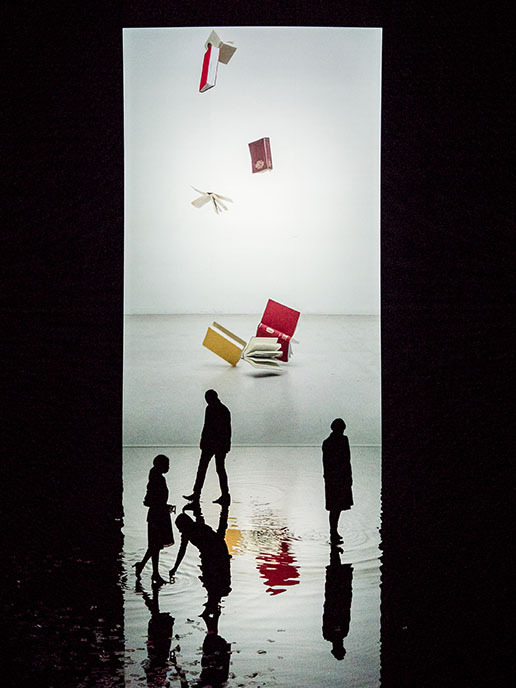 Takatani’s works were presented, among others, Napoli Teatro Festival Italia, New National Theatre Tokyo, ZKM Karlsruhe Germany, Cité des sciences et de l’industrie Paris, Sharjah Biennial UAE. He also worked in collaboration with diverse artists such as Ryuichi Sakamoto, Mansai Nomura, among others. In 2015, Takatani received the 65th Prize of Fine Arts (Media Art) from the Ministry of Education of Japan. 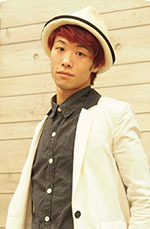 At his young age Nobuyoshi Asai started practicing street dance in Japan and at an international level. Wishing to search deeper into dance that expresses collective human issues, he joined for a year the Alvin Ailey American Dance Theatre in New York. Back in Japan, he created his own company, Sudbury, where young artists joined their creative researches giving international performances. In order to go deeper into movement demanding a complex and profound interior approach, he joined the japanese butoh company Dairakudakan on 2005, before becoming permanent dancer at the butoh company Sankai Juku with whom he gave performances all over the world. In parallel, on 2011, the Pola Art Foundation provided him grants to pursue his choreographic and artistic researches in Berlin, so as to weave links between japanese cultural background and occidental contemporary creative movements. The following year, he obtained the Japanese Governement Study program for Artists and spent a year in Tel Aviv, attached at the Batsheva Company and also collaborating with the alternative artistic environment of Clipa Theater. Striving to embrace a freelance career - in ordrer to explore further more dance, choreography but also collaborations/creations on photography and plastic arts - he now lives and works in France and Japan. Kaori Seki began studying ballet at the age of five, dancing in choreographies at the age of 18, and making a presentation since 2003. Seki was the winner of "the French Embassy Prize for Young Choreographer" of Yokohama Dance Collection 2012 for her co-choreography work "Hetero" with Teita Iwabuch, the prize offered an opportunity of their residence at Centre national de dance contemporaine Angers(CNDC) in France. "Hetero" was invited to six cities in 5 countries in 2012-2013. She established her company PUNCTUMUN in 2013. Seki works aggressively to explore the physical senses of human being, animals and plants and has created pieces evoked by a sensory stimulus using smells and fragrances. 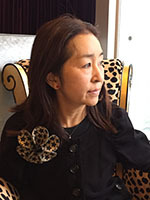 In addition, she has provided choreography for theater productions and for the fashion catalogue as well as take part in choreographic works by Ko Murobushi as a dancer. Selected as a Junior Fellow 2014-2016 by The Saison Foundation. Established in 2013 by a choreographer Kaori Seki. “PUNCTUMUN” is a coined word made by a Latin word “Punctum”, which means ‘tiny dot’ and ‘puncture wound’ combined with a French word “un”, which means ‘a’. “PUNCTUMUN” means countless small dots in one. 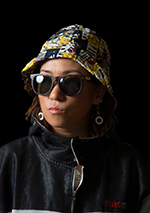 MIHO has been a leader of the Japanese Hip Hop dance scene since long time. She has been always challenging new creation styles and engages herself in raising women’s status in street dance scene in Japan. Her activity as an artist ranges widely from performing in dance showcases, promotion videos, giving workshops, working as a judge at competitions, giving choreographies, organizing events, DJ and directing performing arts pieces. Mika Kurosawa, called “God Mother” of Japanese contemporary dance scene, was born in 1957 in a family of modern dancers/choreographers. From 1982 to 85, she has been to NY and took part in pieces by Amy Rosen, Bebe Miller and Nina Wiener. Kurosawa developed her own distinct style through collaborations with local artists, and was strongly influenced by the experimental, bare-movement style of the Judson group there. Returning to Japan in 1985, she started collective works based on improvisation under the name of Mika Kurosawa & Dancers. In 1992, Mika & Dancers performed “La Danse au degré Zéro”: “the Dance of Zero degree” at Rencontres Choréographiques Internationales de Bagnolet Seine Saint-Denis, France. In 1999, she started “The Rose Man”series focusing on solo dances. In 2007, she gave successful performances of “Romantic Night” and “lonely woman” in New York at The Kitchen. In 2003, Mika & Dancers started performance collected by Kurosawa’s past group works under the title of “Dance Show!”, and has continued the series of “Minimal Dance Project” from 2009. He is a choreographer, director, and a dancer. He also belongs to the dance company “CONDORS”. As a dancer, he has received an award in “Yokohama Dance Collection EX”, new face award from “the 46th Dance Critics Association”, received “the 9th Japan Dance Forum Award”. He has appeared in Japanese music TVs such as “Kohaku Utagassen”, and “FNS Music Festival”. Performed in the production of Philippe Decoufle. A part time instructor in Tama Art University (department of scenography design, drama, and dance), and International Culture School. Japan - East Asia Cultural Envoy 2015. 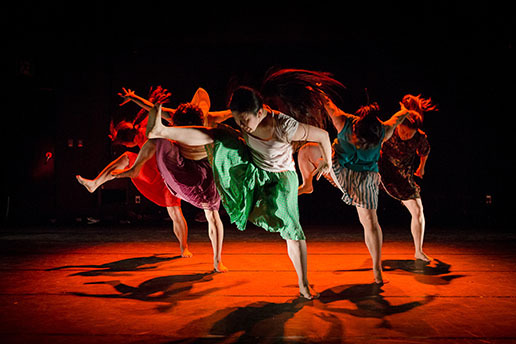 A Japanese dance company, formed in 2007 lead by Takuro Suzuki. It consists of talented performers mostly from the acting field. The works include words, songs, and onomatopoeias seeking for a new possibility to combine dance and drama. They create series of physical performances based on famous stories such as “dancing DRAMA”, “dancing MANGA”, “dancing RAKUGO”, “dancing PICTURE BOOK” which is popular amongst people in all ages. In 2009, they collaborated with an orchestra and performed in Shibuya Public Hall which contained 2000 audiences. They have received an award in a dance contest “NEXTREAM21”. They’ve also choreographed for a movie “GARO”, directed by Keita Amemiya. Participated in the opening of 25th Tokyo International Film Festival’s green carpet. Received the grand prix of Young Directors Competition 2013, and the 3rd Setagaya Art Award.